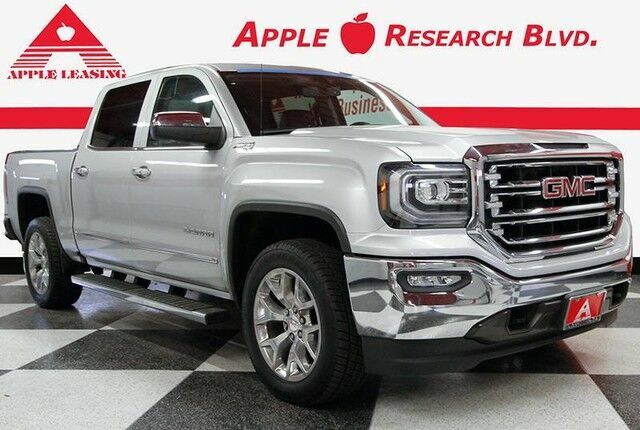 EXTREMELY CLEAN, ONE OWNER, CLEAN CARFAX, NON SMOKER, AND GREAT SERVICE HISTORY, THIS GMC SIERRA SLT 4X4 WITH THE Z71 OFF ROAD PACKAGE IS LUXURY,PERFORMANCE AND COMFORT. LEATHER, NAVIGATION,HEATED SEATS, BACK UP CAMERA AND FIXED SIDE STEPS ARE JUST A FEW OF THE OPTIONS...THROW IN THE ROLL N LOCK BED COVER AND CHROME PACKAGE MAKE THIS A GREAT CHOICE! STOP BY OUR RESEARCH BLVD SALES CENTER AND SEE FOR YOURSELF WHAT HASSLE FREE CAR SHOPPING IS ALL ABOUT.